New England weather is always unpredictable, but sometimes.. it's also magical. 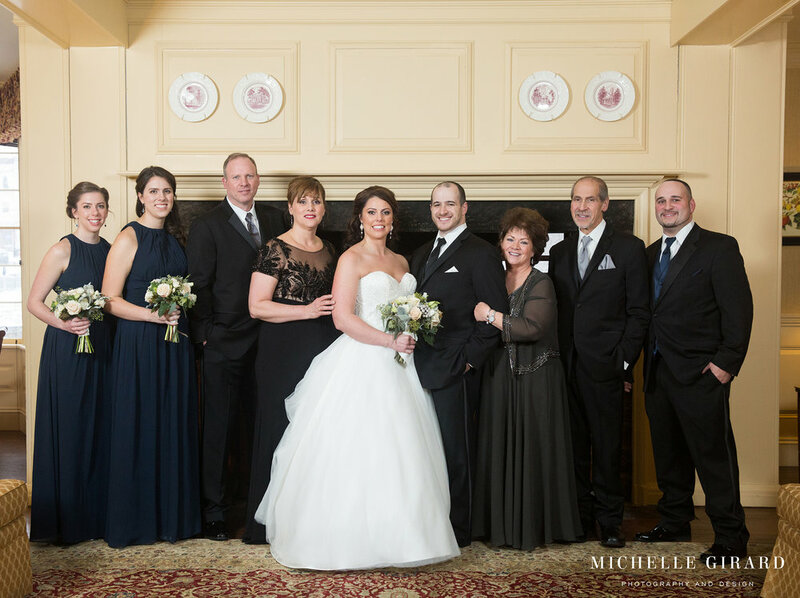 This past Saturday, the snow started to fall just before Cynthia and Michael's wedding ceremony that was held inside the library of the Lord Jeffery Inn in Amherst, Ma. 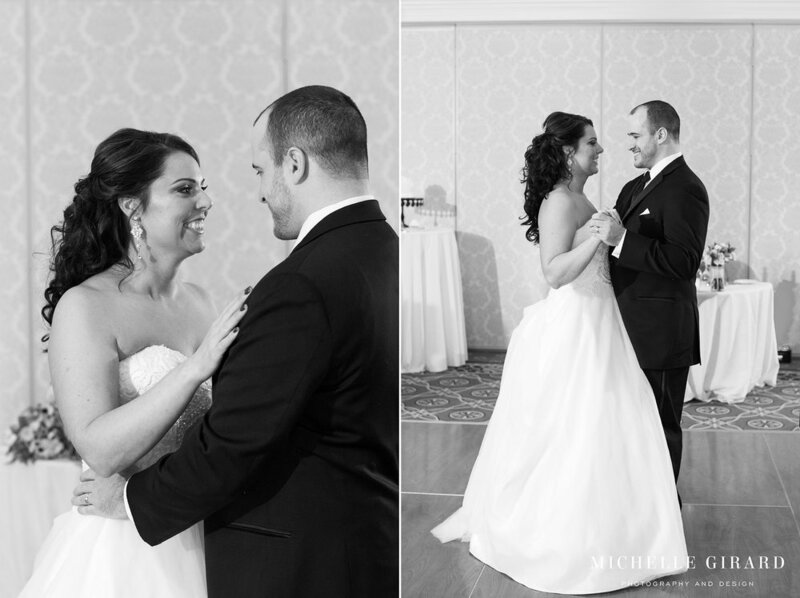 These two said their vows in front of a historic fireplace and with their closest friends and family in attendance. 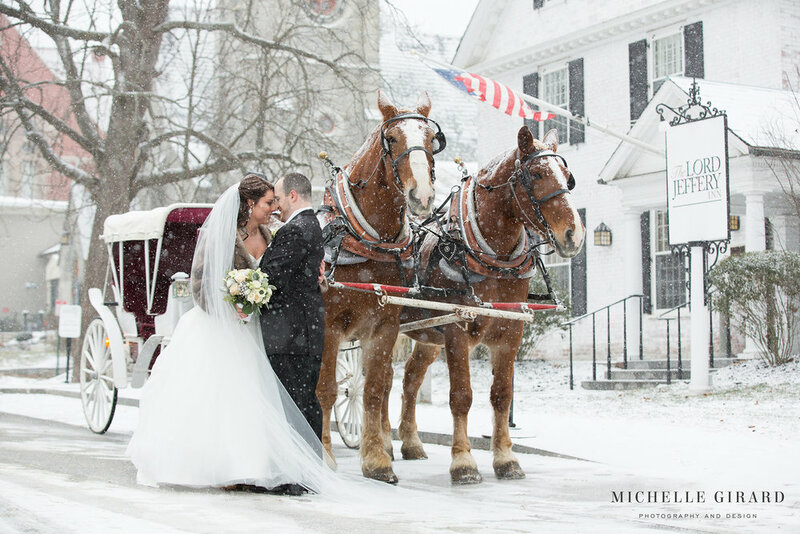 Then, Michael helped Cynthia lace up her snow boots and they went outside where a horse and carriage ride was waiting. 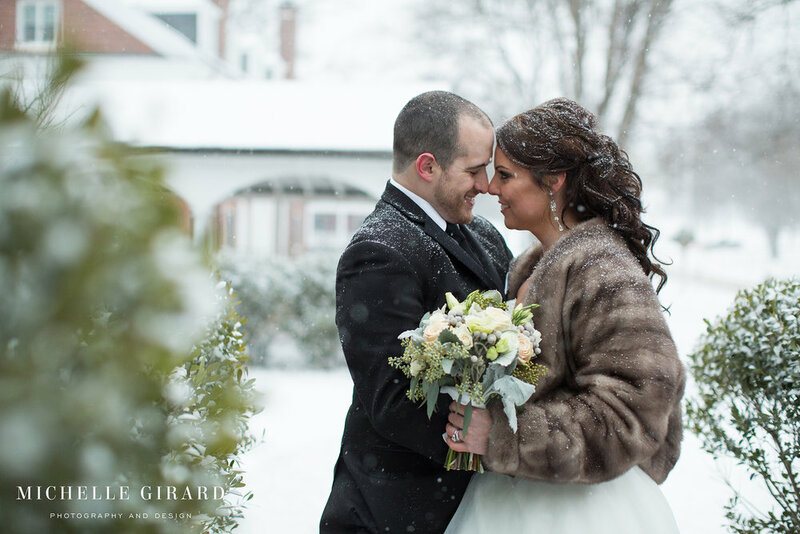 It was a scene straight out of a fairytale, or at least right off of the ideal Winter Wedding Pinterest Page! After taking a ride in the carriage, getting some moments alone together to take in the fact that they just officially got married, I got to capture some photos of them outside as the snow fell. Actually, Cynthia and Michael went outside with me a couple of times throughout their reception to create photos together in between dancing. These two weren't the least bit concerned about the cold and were truly up for anything. You could feel all of the excitement and love that they were feeling! Holding each other tightly and taking in every moment together. That is really what made it most feel like a fairytale.